Did you know that as T/E School District homeowners we are in line for the largest yearly tax increase for decades! As it now stands, our school board has targeted us for a 6% tax increase! In December, as the preliminary budget for 2019-20 was in the early stages of preparation, the discussion indicated a possible tax increase of 6.1% but the Board assured us that they would work to bring down the increase. Three plus months later, the projected tax increase remains at 6% although at last night’s school board meeting, we were again told that the board is working to bring the number down. The question is “why” the proposed staggering increase; the largest in decades! And to be clear, the proposed tax increase is not based on the Conestoga HS expansion plan – that capital project will be funded separately through new bond initiatives. Which brings me back to the question, WHY this looming large tax increase? As we learned from Ray Clarke at the school board meeting last night, there appears to be an explanation (and suggested solution) for the proposed tax increase. And should the school board act on Mr. Clarke’s findings, it could reduce the proposed increase significantly. 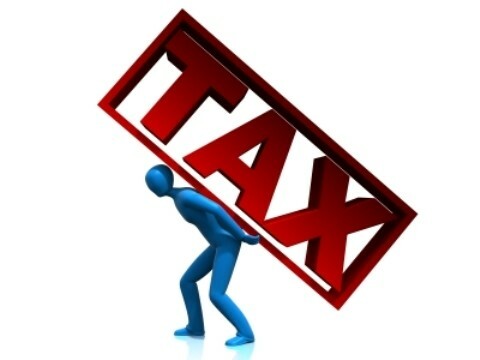 Taxpayers could see the proposed tax increase lowered by as much as 50%. According to information received at the District’s Finance Committee meeting of March 11, the accounting problem stems from unpaid invoice(s) of $1 million+ that were received in the 2016-17 year. The invoice(s) from the Chester County Intermediate Unit (CCIU) were paid, and more importantly accounted for, during the 2017-18 year. The Special Ed exception for tax purposes is based on increases in annual expenditures; so getting the year correct is extremely important. By moving the Special Ed expense from 2016-17 to the following year (albeit by error/accident) causes a false reading by inaccurately inflating the expenses in 2017-18. After Mr. Clarke read his statement, Neal Culligan continued with remarks imploring the board to seek further review before imposing a 6% tax increase. I struggled to understand how the District can “miss” paying over a million dollars in invoice(s) and asked the Board for an explanation – how did this happen, whom was responsible and when did they find out? My questions were unanswered. Mr. Clarke contacted Pennsylvania Department of Education and received copies of the District’s 2019-20 “Special Ed Expenditures” and signed “Summary of Referendum Expenditures filings. And although the District has known about the accounting “timing” issue since sometime before the March 11th Finance Committee meeting, the State has not been notified or the filings correctly updated. As I stated at the meeting, we all make mistakes – but it’s all about owning your mistake when it’s identified, correcting it and moving on. Shouldn’t that apply to the School Board and the Administration – they knew there was an accounting “timing” issue; an error that could impact the proposed tax increase. Who is responsible and where is the accountability? Why don’t they do something? Sadly, the takeaway from some School Board members re the accounting “timing” issue was simply to push back, become defensive and claim that they have been completely transparent. What’s that line from Hamlet, “The lady doth protest too much, methinks”? So what does the man with the District’s oversight of the financials, Business Manager Art McDonnell, have to say on this accounting matter? Remarkably, he disregards the analysis by Mr. Clarke, indicating that the “timing” of the Special Ed expenses and subsequent payment was inconsequential and; therefore, making no difference in the end result. When called upon to comment, McDonnell further stated that if anything, the taxpayers would simply have paid a larger tax increase last year if the Special Ed expense and payment had not been delayed to CCIU. This is crazy talk – and certainly doesn’t sound like sound accounting practice! It seems to me that if the District erroneously missed Special Ed expenses and a million dollar plus payment to CCIU one year, plays catch up the next year, that this practice skews the resulting financials of those effected years and for future years. As a very wise former school board director stated, “The legislature passed Act 1 of 2006 specifically to limit a school board’s power to tax the electorate unchecked.” Our school board knew about this accounting error at the March 11th Finance Committee meeting and residents questioned them about the issue at last night’s School Board meeting – are they not required to do the right thing? At a minimum, this should require immediate financial review from an independent source and then take necessary action as required, including notifying the Pennsylvania Department of Education..
We elected our school board directors to provide oversight; with independent thought and transparency. I wonder how quickly the board would correct a similar accounting mistake if the result was more money for the district rather than less. Would it still be described as inconsequential or would it be described as significant and in need of immediate attention. Thanks for this information Keith. So, in your opinion is it the school board’s responsibility to mandate that the accounting error is corrected? As T/E taxpayers (faced with a 6% tax increase!) how can we make certain that they do what is right? Based on last night’s school board meeting, there certainly didn’t appear to be any urgency or commitment on their part to address this situation. It’s all a big illusion. The money will probably go to pay off lawsuits in reality. They treat tax payers like we’re stupid. Curious — are you saying that the school board treats the taxpayers like they’re stupid or is it the administration (read Art McDonnell, Business Manager) that thinks we are stupid. In your essay above, you state that the Boards response was to push back, get defensive and claim that they have been completely transparent. Either they believe the Business Manager or they’re in collusion together. Where’s the basic accounting principles and management oversight? The information presented should be verifiable and free from bias and should faithfully represent what it purports to represent. Information must be comprehensible and should not be misleading. Clearly and admitted by the administration, the AFRs as currently stated are not reliable. They should be corrected without hesitation. If the board chooses not to do so then PDE should be notified. Many thanks, Pattye, for increasing the public awareness of this problem. Interested community members have for months been perplexed not only by the spike in Special Education expenses but also by the vehemence of the push back to any suggestion that the timing of expense recognition could have played a part. And then out of the blue, in Finance Committee presentation to the public and most of the Board – with lots of numbers but otherwise few insights – comes a verbal statement that over $1 million of expenditures with CCIU were attributed to the wrong year. The Board has had the opportunity – and encouragement – for a couple of weeks now to take steps to acknowledge and correct this, but seems happy to accept Administration assurances. The state’s Exception Calculation is not that complex (despite Administration claims in years gone by) but neither is it so simple that it makes no difference what year expenses are coded to. Packing expenses into one year makes it likely that more of them can be added to taxes. And not only does this impact tax increases that could have been considered in the past and are being considered now, it also rolls into calculations for the future. Readers should be asking the Board directly – what happened and how are the cause and the outcomes being addressed? Good question! The State allows a tax increase based on the difference between Special Education expenditures in two prior years. Essentially, If the difference was claimed to be $4 million but was in fact $2 million, the allowable exception is halved. each year. They would have liability insurance for these instances. From attending the meetings or watching at home, one take away is clear, it’s ONE BIG CLIQUE. And until a similar situation occurs like Lower Merion School District, the Clique will think they can continue to do what they’re doing…collect high salaries, raise our taxes, and hide behind our kids and say, but “We’re Number One”. Thank you to all of you who have weighed in. It heartening to find grown-ups willing to take responsibility for their actions involved on behalf of us taxpayers. The T-E School District needs no tax increase. The District has between 4 and 8 times the amount of money listed on the budget in bank accounts, investments and enterprise activities. There is so much money that a self-sustaining fund could be created to end taxation forever. The money is accounted for in their Comprehensive Annual Financial Report (CAFR) that every government entity must keep. It is the proverbial second set of books, that would be illegal if business did it. Go to CAFR1(dot)com for more information. It will be of great interest to actuaries and mathematicians. It appears the School Board fell asleep at the Wheel. School Board was Directing while snoring. This is a serious issue warranting an EXTERNAL Audit. What other mistakes have happened on your watch? This mistake is a MISTAKE so please fix it and not allow it to effect our students and teachers. Create better policy to put expenses in your program as they occur. Get an APP that looks for errors between the School and the CCIU. A Million Dollars is unbelievable. The issue is spending based on need. The issue is spending for the best interest of the child. And of course folllowing the law to avoid more large lawsuits. The external audit or even a financial consultant would help. I do not believe School Board or administrators are experts in the area of Budget and finance. Get some help. The budget workshop is NOT ENOUGH! The School Board used to have some pretty good members. They are now gone, perhaps swept away with the blue Democratic wave in the last election. Hard to see or understand whether this problem has a rooting with the former or current board, but we all must remember the new wave of members voiced strong support for the teachers in their recent negotiations, and further made promises of investing in the future of our children. Who thought that would come cheap? Think of it this way….if this hike is the result of the actions of the old Board, it will look cheap after the new Board gets done doing what it wants to do. Somewhere in our community, old Board members are getting a chuckle. A thought re the Board. IMO this is not so much a political party thing as it is a reflection of the inherent challenge of being a School Board Director when your flow of information is so controlled and when you do not have the current or accumulated time to go deeply behind the numbers. Compare the time that Betsy Fadem spent at West Valley Road and probably locations before that. However, when the facts do become clear, it comes down to character and values, and that’s what the community should look for now. Admin generates a crisis by adding back expenses removed last year – drama!! The School Board rides to the rescue by removing those expenses – heroes!! Admin contributes ideas to cut the music program – another crisis!! Parents man the barricades!! Admin finds that the tax base will be higher, maybe there will be some retirements and a second look at healthcare costs shows a likely smaller deficit – sighs of relief from the audience!! The Board says, great, but I’m the boss here – reduce the tax increase by a quarter of a percent even though the budget still shows a deficit – yay!! At the end of the year there’s another surplus. All it needs is the return from retirement of legendary music teacher and accompanist Ann Sprissler on the piano and you’re rivaling the famous CHS production of Les Miserables. Ray, I agree that this is not a situation of one political party vs another. That said, it should be noted that the 4 school board members running for re-election — Republicans Ed Sweeney and Kate Murphy and Democrats Roberta Hotinski and Todd Kantorczyk (who is also the current Finance Committee Chair) are all unopposed in the 2019 T/E School Board race. Personally, I look for independent thought from elected officials — it’s should not be about “group think”. School board directors are elected as oversight for the taxpayers! Correction: Ed Sweeney is a Republican who has cross-filed for a second term on the T/E School Board from Region 2. He has no running mate. But on the Democratic side, incumbent and vice-president of the SB, Michele Burger is running along with retired reading teacher and specialist, Stacy Stone. Michele and Stacy will appear on both the Democratic and Republican primary ballots. In Region 1, Dr. Roberta Hotinski and Todd Kantorczyk, chair of the Finance Committee are unopposed. Todd is the managing partner of his law firm and has solid financial management experience. Roberta also has years of budgeting experience as a research project manager at Princeton University. No Republicans have filed petitions to oppose them. In Region 3, which includes one precinct in Tredyffrin and all of Easttown, has one of three seats on this year’s ballot. Incumbent Kate Murphy is cross-filed. She is opposed on the Democratic ballot by Francis Reardon. All of this drama-laced blog commentary is based on incomplete and incorrect information. The Administration and School Board are committed to reducing the preliminary proposed tax increase and are well aware of the burden it places on many T/E residents. Plan to attend the April 8 SB Finance Committee meeting at 7 PM followed by the Budget Workshop at 7:30 to learn more and ask questions. I take real issue at your calling this “drama-based blog commentary based on incomplete and incorrect information”. What part exactly is incorrect??? The school board initially proposed a 6.1% tax increase in December with a promise to reduce it — 3-1/2 months, that proposed tax increase is still standing at 6%. The clock is ticking down to the final approval of a budget. Considering that there’s been 0.1% downward movement in 3-1/2 months, what do you think is realistic as a final tax increase? Even if it gets to 5%, it will still be the LARGEST tax increase in decades! I attended the school board meeting as did Ray Clarke and Neal Colligan –you did not attend yet we are the ones with incorrect information. The school board was asked questions about the accounting timing error, yet they did not provide answers. You say go to the finance meeting and budget workshop — I’d suggest that a regular school board meeting should be where the public receives answers, when the cameras are rolling! I would hope that every school board member would now be asking the Administration questions about the timing mistake, and also for an outside audit (and not accepting the word of Art McDonnell). This is taxpayer’s money and the public deserves to have confidence in those elected to serve. As the TTDEMS leader, your letting us know the final list of candidates for the school board is helpful. Ms. Keohane, don’t think that we need politics to deflect the public from the proposed TE budget which contains 6% tax increase to the homeowners. Maybe you can afford this inflated increase but I cannot. I am not certain of the exact amount in the school district’s fund balance but wasn’t it around $30 million. Not sure why the board thinks its OK to further burden the taxpayers. If you have insider information or a crystal ball, please share. One factor that hasn’t been publicly discussed by the board or administration is the 2.5% increase in the assessed base. Thus, the proposed 6% millage increase generates an 8.5% increase in real estate taxes. Just how much does the school TESD board need? I’ll note that Unionville, Great Valley, Lower Merion, and Downingtown among many others are content with a 2.3% millage increase (or less) and none of them have anywhere near the extra advantage of a 2.5% boost from an assessed base increase. Lawsuits and salary increases for the Business Manager and friends, takes a lot of money. 2.5%: Another number that just does not seem right to those of us that live here, but yet show up in the TESD financials. Both our Townships have indicated an assessment increase of a little over 1% for 2018, yet somehow the District preliminary budget submitted to the state for 2018-19 shows TWICE that? Moreover, the real estate revenue increase in the Budget Workshop materials is only 6.4%, not the 8.5% shown to the state that Keith reports above. Real estate revenue accounting has always been defiantly opaque and an area for under-budgeting, since assessed values are generally higher when bills are sent out than when budgets are first done. In fact, that’s why the budgeted 6.4% revenue increase from a 6% tax increase seems low again, given the actual ~1% increase in values that we know about. There may be behind the scenes adjustments to this year’s or last year’s budgets that account for this new discrepancy. However, it seems past time for the Board to take active measures to assure tax payers of the integrity of its financials. Risking a claim that this comment is drama-laced and includes incorrect and incomplete information, isn’t it about time for our school board to step up, take responsibility and act? It looks like an outside audit is required to restore the community’s trust in the accounting of public funds. School board, we need honest and responsible communication from you on this situation. What we don’t need is more ‘waving of the magic accounting wand’ by Art McDonnell and his attitude that the financial tweaking of the past year(s) doesn’t really matter; with a rationale that this year we (the taxpayers) would still be paying a tax increase. Or the notion that we should appreciate that our tax increase could have been higher last year!? You don’t need an MBA from Wharton to see that some of these accounting practices are just not lining up. As our elected officials, it is YOU, the school board, whom are the taxpayers oversight not Art McDonnell! Why should the public pay inflated school taxes because of fuzzy math in the accounting department? The school board needs to wake up. There should an immediate independent audit of the districts finances, bills paid, bills due, any funds still coming into the district etc. I only read Tom watson’s post and agree with him wholeheartedly. would starting a petition be feasible? I would like to know if there are any retirees on the board? To help defray costs perhaps parents of attending children should volunteer their time. I as a retiree would certainly volunteer my time.